For many people, Christian counseling degrees are the springboard to a fulfilling career in counseling. These degrees are perfect for individuals who wish to combine their love of Christianity and their love of counseling. Specifically, Christian counselors use the power of prayer, Scripture, and other Christian disciplines, in addition to psychological principles, to help others. Christian counseling degrees differ from secular degrees in that they include the Bible in a significant portion of the coursework. Christian counseling students will learn how to incorporate Biblical teachings into their practice and how to understand emotions in a Biblical context. Faith-based counselors offer services in a variety of settings, including offices, schools, churches, hospitals, adoption agencies, and homeless shelters. People who are drawn to help people, want to develop a deeper understanding of God’s Word, and want to guide others to understand the Bible are most likely to find Christian counseling careers fulfilling. Therefore, those who are interested in helping others grow mentally and spiritually should consider a career in Christian counseling. With so many options, finding the best Christian counseling degree program can be overwhelming. Online degrees are becoming increasingly popular due to the flexibility and convenience they offer to the working professional, but on-campus programs have the advantage of training students in face-to-face interaction, which is important considering the interpersonal nature of counseling careers. The best online Christian counseling degrees are regionally accredited and have competitive rankings. 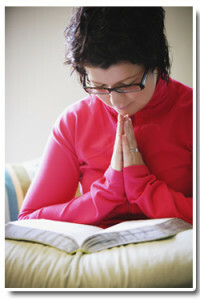 For example, Grace College Online offers a scripturally grounded Master of Arts in Clinical Mental Health Counseling. Grace College was ranked by U.S. News and World Report as the #46 top school in the Midwest. Its program requires three weeklong residency sessions, so it is best for students who can easily travel to Indiana. LeTourneau University Online, the #36 school in the West, offers a Master of Arts in Counseling with an emphasis on the power of scripture and prayer. Its program is completely online, so it can be completed successfully from anywhere in the United States. Individuals in Christian counseling careers have many options when it comes to specialization. Some Christian counselors choose to work from their own private office, and may work with individuals, couples, or families. Other counselors work in churches, providing professional guidance to the congregation. Church leaders, such as ministers or priests, often perform these roles as well, but Christian counselors offer a professionally educated perspective. Hospitals with chapels offer opportunities for counselors who feel a calling to help the sick and their families. Religiously affiliated schools, funeral homes, and homeless shelters also employ counselors who are specifically trained to help the groups they serve. A Christian counselor can expect to earn about as much as a secular counselor. A counselor with a Christian counseling degree may have a salary of between $35,000 and $75,000 per year, depending on the counselor’s experience level, qualifications, and place of employment. For many people who dream of helping others, a Christian counseling degree is the key to an engaging and fulfilling career.